J&S Engineering has 30 years’ experience in the manufacture of Blast Hole Drill Pipe and Consumables. 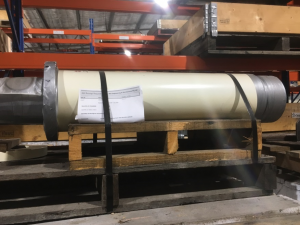 Over this time J&S have developed significant experience and understanding of the management, performance and maintenance of the drill string and consumables. It became obvious that the long held practice of welding Top Subs to High Tensile steel Bull Shafts, and in close proximity to the Gear Box, was not a desirable practice. Introducing heat into the shaft can initiate cracking, and the associated heat transfer through the shaft into the gear box can cause premature failure of bearings and seals. Another source of ‘hot work’ on the Drill String is the tradition of welding the Saver Sub onto the Top Sub. The costs and delays associated with gaining ‘hot work’ permits for field work reduce drill time and increases production costs. J&S Engineers set about to ‘manage out’ the process of welding any components onto the Drill String. A number of solutions were created, designed and manufactured. These include ‘Alloy Bull Shaft Clamp’, the ‘Extended Bull Shaft’ with Bolt-on locking arrangement and the J&S patented ‘Bolt-on Saver Sub’. The Alloy Bull Shaft Clamp is an engineered high strength light weight clamp designed to secure the Top Sub to the Bull Shaft through mechanical clamping resulting in no welding and no hot work. 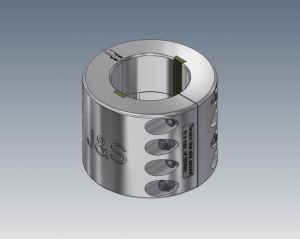 An alternative measure is to replace the OEM Bull Shaft with a J&S designed Extended Bull Shaft incorporating the J&S Bolt-on locking arrangement. The final cause for ‘hot work’ is joining of the Saver Sub to the Top Sub. 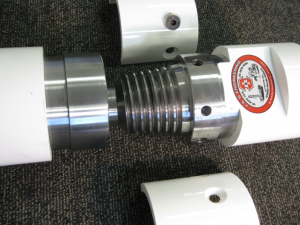 Again J&S designed a mechanical solution via our Bolt-on Saver Sub which removes the need for traditional welding. These three solutions have been utilised in the field over many years with outstanding results, and today most sites in the Hunter Valley have adopted these solutions. J&S Drill Consumable solutions are now gaining traction in Queensland.